When I published Eugenic Nation in 2005, I did not anticipate that California lawmakers would be revisiting eugenics and nonconsensual sterilization any time soon. After all, a previous governor and the senate had apologized in 2003 for an eugenic sterilization program that involved more than 20,000 operations in nine institutions, most performed between 1920 and 1950. Yet revelations about reproductive injustice in California institutions should not have come as much of a surprise. In 2011, the U.S. Supreme Court ruled that California prisons were in violation of the “cruel and unusual punishment” clause of the Eighth Amendment. Moreover, the system was mismanaged enough to land in receivership. This administrative and bureaucratic disarray helped to permit the utter devaluation and defilement of women’s reproductive lives. Spurred by a desire to contextualize the recent prison sterilizations, I undertook a second edition of Eugenic Nation. Beyond connecting the historical dots over more than a century, the new edition incorporates findings from 20,000 sterilization recommendations preserved on 19 microfilm reels. In 2007 I discovered this amazing source at the offices of the California Department of Mental Health; my team and I are in the midst of using these documents for quantitative and qualitative analysis and for innovative digital humanities projects. California’s protracted and recalcitrant history of sterilization abuse reveals that while, in the 2010s, political condemnation of nonconsensual sterilizations might be swift, the conditions for reproductive injustice—above all of poor women, people of color, and those disproportionately institutionalized—can exist as comfortably in a neo-liberal “post-racial” era as they did during the ascendance of racial segregation and the welfare state. Alexandra Minna Stern is Professor of American Culture, Obstetrics and Gynecology, History, and Women’s Studies at the University of Michigan. 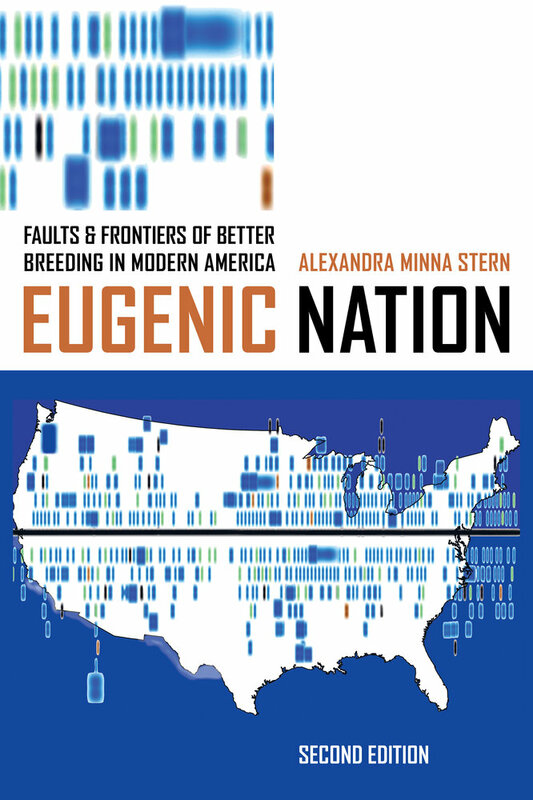 UC Press will publish the updated second edition of Eugenic Nation: Faults and Frontiers of Betting Breeding in Modern America in December, 2015.